Dedicated to Lord Padmasambhava venerated as the Dance Performance. 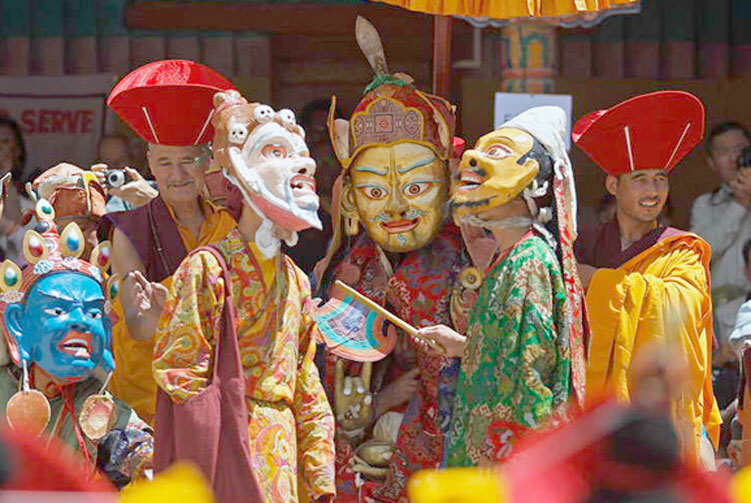 The Hemis festival is dedicated to Lord Padmasambhava (Guru Rimpoche) venerated as the Dance Performance at Hemis Monastery representative reincarnate of Buddha. He is believed to have been born on the 10th day of the fifth month of the Monkey year as predicted by the Buddha Shakyamuni. It is also believed that his life mission was, and remains, to improve the spiritual condition of all living beings. And so on this day, which comes once in a cycle of 12 years, Hemis observes a major extravaganza in his memory. The observance of these sacred rituals is believed to give spiritual strength and good health. The ceremonies begin with an early morning ritual atop the Gompa where, to the beat of drums and the resounding clash of cymbals and the spiritual wail of pipes, the portrait of "Dadmokarpo" or "Rygyalsras Rimpoche" is then ceremoniously put on display for all to admire and worship. The most esoteric of festivities are the mystic mask dances. The Mask Dances of Ladakh are referred collectively as chams Performance. Chams performance is essentially a part of Tantric tradition, performed only in those gompas which follow the Tantric Vajrayana teachings and the monks perform tantric worship. Day 01: Arive Delhi and Transfer to Hotel. Day 06: Final Departure from Leh, on ward your last destination. We offer you the best price guaranteed for Hemis Festival Tours. 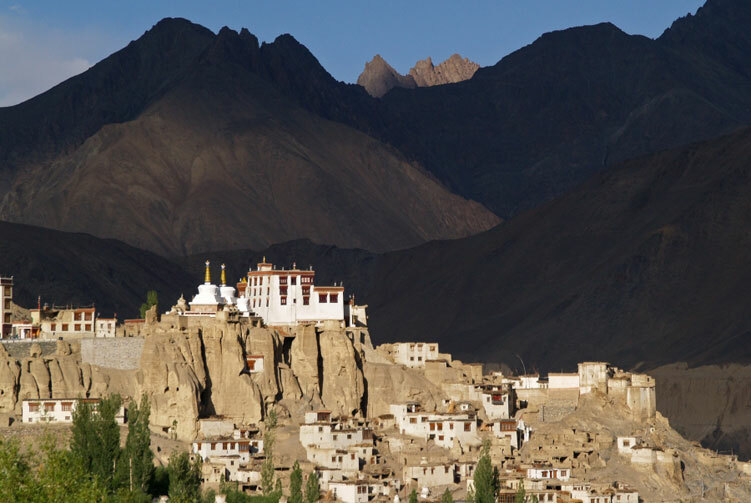 Hemis is a town in India 40 km southeast of Leh in Ladakh, well known for the Hemis monastery that was established in 1672 AD by king Senge Nampar Gyalva. Hemis is best known to tourists for the colorful festival held in July. Hemis also could be associated with the Hemis National Park, an area that is home to the endangered snow leopard. The national park was created in 1981. Its coordinates are - latitude 33º38'-34º11' in the North to longitude 77º00'-77º44' in the East. It is the only high altitude park in the country. This three-day Buddhist festival takes place at the Hemis Gompa in the mountainous region of Ladakh in northern India. 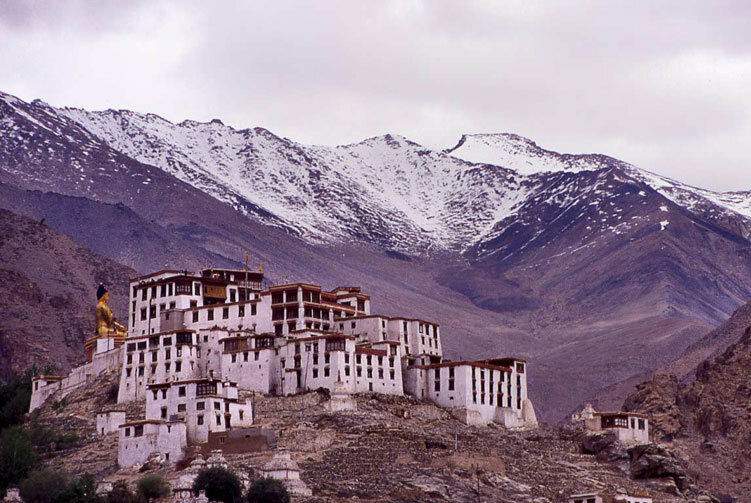 This is the largest gompa (monastery) in Ladakh and has gold statues, huge stone monuments of Buddha called stupas that are studded with precious stones, and an impressive collection of thangkas, or big scroll religious paintings. The festival celebrates the birthday of Guru Padmasambhava, the Indian Buddhist mystic who introduced Tantric Buddhism to Tibet in the eighth century. Tradition says he was a native of Swat (now in Pakistan), an area noted for magicians. Tradition also says he brought on an earthquake in Tibet to get rid of the demons who were delaying the building of a monastery. 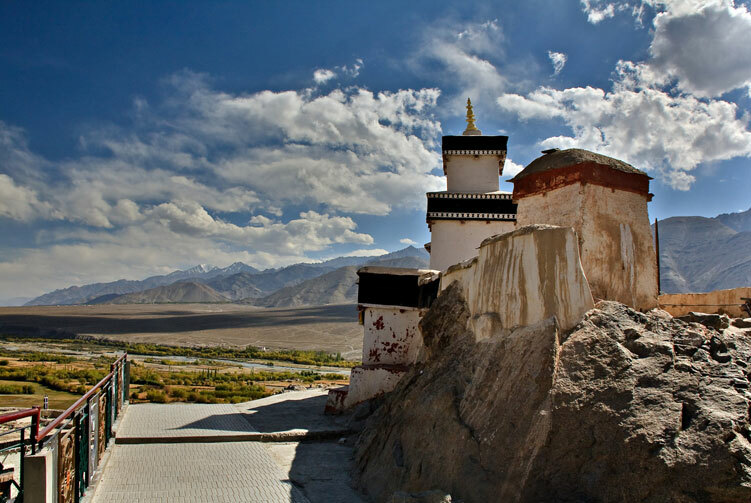 Hemis Monastery already existed before the 11th century. Nāropā, the pupil of the yogi Tilopa, and teacher of the translator Marpa was connected with this monastery. A translation of Naropa's biography has been found in Hemis monastery. It has been translated by A. Grünwedel (Nӑro und Tilo,: Festschrift Ernst Kuhn, München 1916).